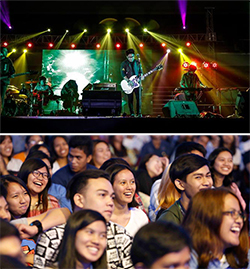 Ten thousand youth from around the world gather in Manila, Philippines for the 2016 Global Youth Summit. 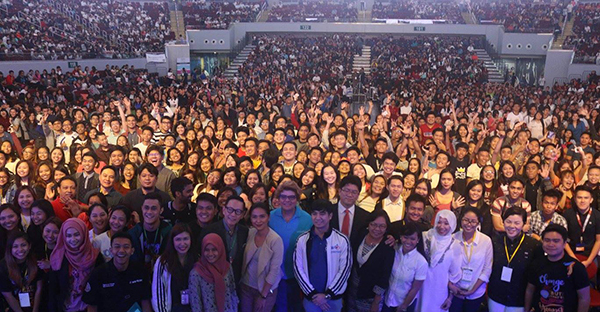 Ten thousand youth leaders, students, and young professionals from around the world gathered in Manila, Philippines on February 6, 2016 for a one-day summit that aimed to challenge, inspire and educate the world’s future experts. The fourth Global Youth Summit brought together young people from Botswana, Russia, Indonesia, Pakistan, Vietnam and Thailand, as well as local youth leaders from Luzon, Visayas, and Mindanao in the Philippines who were eager to make positive impact in their communities. This year’s theme was “One World,” encouraging participants to join together as “one youth” to create a more peaceful world that values the differences that exist within the human family. Delegates engaged in in-depth discussions on topics such as the youth’s role in the achievement of the UN’s Sustainable Development Goals and peacebuilding. The summit was divided into three tracks, “Inspire, Engage, and Activate,” that featured speakers and practitioners from different backgrounds and sectors of society who spoke on today’s pressing issues. Opening up the program, Mr. Jinsoo Kim, Regional President of Global Peace Foundation Asia Pacific, explained the vital role youth play in peacebuilding efforts around the world and ways to get involved. He also announced the upcoming Global Peace Convention and One Dream One Asia Concert that will be held in Manila, dates to be annouced. 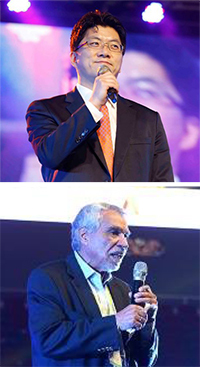 Roberto Mayorg, former ambassador and founder of Calidad Humana Project, praised Filipinos for their positive attitudes, hospitality and resilience, which he said must be treasured, maintained, and promoted in the world especially by young people. Summit attendees also participated in the “Donate-a-Pencil” campaign that supports underprivileged communities in the Philippines. The Global Youth Summit was co-organized by Global Peace Youth Philippines, SM Cares, AIESEC in the Philippines, and National Youth Commission in partnership with Philippine Society of NSTP Educators and Implementers, Commission on Higher Education, Calidad Humana, Mall of Asia Arena, Inquirer.net, and Rappler.